Each year, over two million wildebeests, zebras and gazelles stampede across the East African plains in search for better grazing. 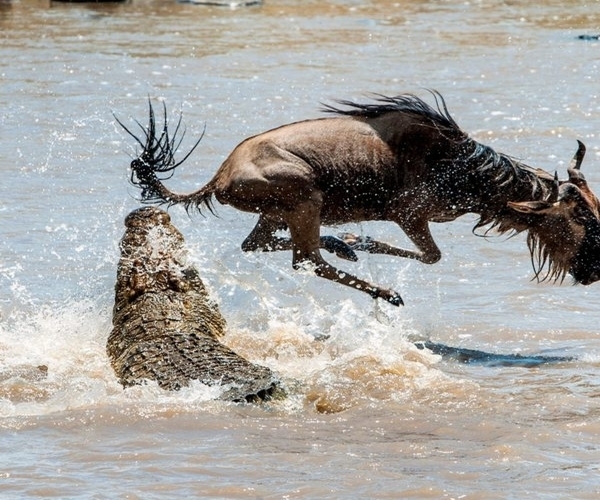 Grabbing the opportunity, predators like lions, leopards, hyenas and Nile crocodiles await the ungulates for a tasty lunch, promising spectators a wild and action-packed experience. This spectacular animal movement known as the Great Migration continues all throughout the year (See Great Migration Map for reference). So, if you want to plan your perfect safari to see this iconic event,it’s always wise to know where to go depending on when you’re going! 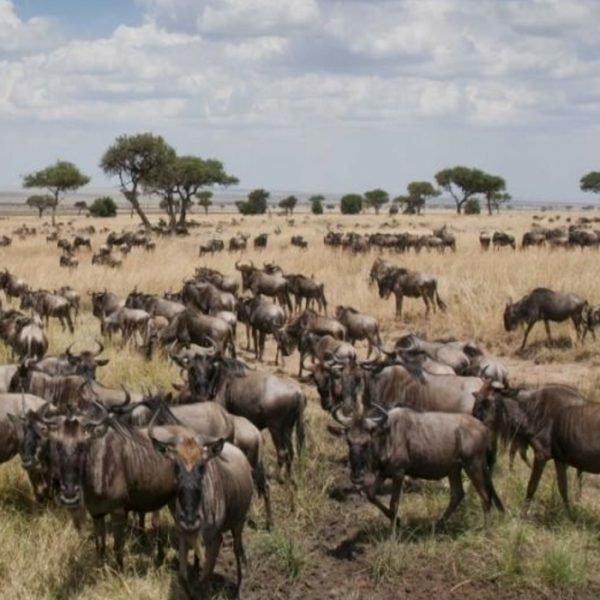 In December, you can find the wildebeest herds around Southern Serengeti, particularly in Ndutu area and eventually nearing Masek and Kusini Maswa come March. 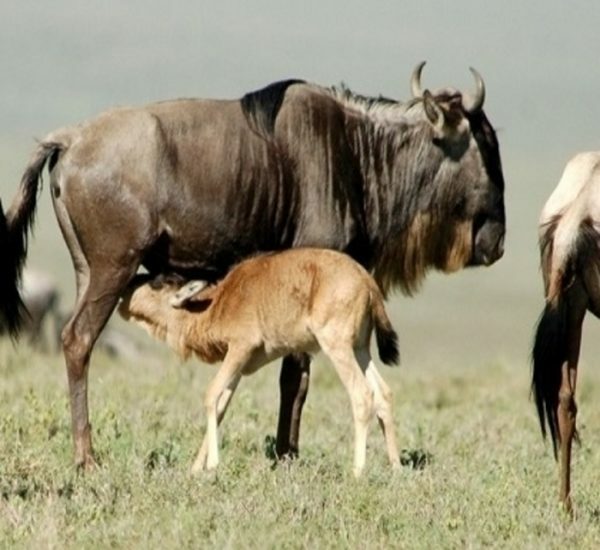 Expect to see thousands of baby wildebeests being born each day during the calving season between these months. Many adult ungulates become even more protective of their young while predators are at large, hence, predator-prey interaction is almost always guaranteed. Bird watching is also at its best during this time as migratory birds are still present, adding to the already impressive resident avifauna of the Serengeti. April and May are the wettest months of the year in Tanzania but despite the long rains, your safari can still be as remarkable. The scenery is lush and beautiful, and rates become significantly lower. The wildebeest herds start to move towards the central and western regions and by May, most of them can be seen around Western Seronera and Moru Kopjes where more herds of zebras and gazelles join the party. Twitchers and photographers will also love it because while migratory birds start to leave by April, a few new ones arrive. Long rains have stopped and dry season is beginning. 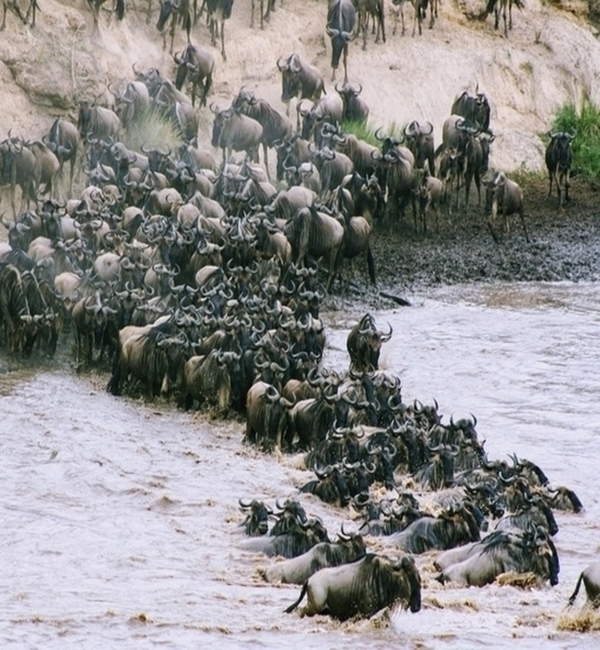 During this time, the herds congregate around the Western Corridor as they reach the south side of the Grumeti River. The movement starts to slow down as the herds prepare to cross the crocodile-infested river – an obstacle they have to face before the bloodier and more challenging Mara River crossing further north. By July, you can see them around Grumeti Reserve where wildebeests prepare for their mating season. Fasten your seatbelts as this is the time when you can finally see the dramatic Mara River crossing. The herds undergo the toughest feat of their migration as they cross the international border and fight for survival against predation, drowning, exhaustion and hunger – no wonder why this spectacle of nature is often referred to as the Wild Cup of Wildlife! Survivors then celebrate their survival by feasting on the grasses of Masai Mara in Kenya while those who stayed in Tanzania can be found in the northern areas. The last herds crossing the river can be found in Masai Mara National Reserve, one of Kenya’s most sought-after wildlife sanctuaries, while some others start to move back to the southern plains of the Serengeti. By November, most of the herds can be seen in Lobo, Mbuze Mawe and Seronera Valley in Serengeti. European and North African birds also arrive here around November and resident bird species start nesting. As herds start to settle back in the south, calving season eventually begins again and the cycle starts over. Since the Great Migration is a continuous movement, it is pertinent to be with an operator who knows exactly what you want and exactly where to go for you to fully experience this remarkable adventure. Whatever your budget and traveling style, African DMC is always willing and able to assist you in making your dream vacation a reality. We can even customize itineraries! 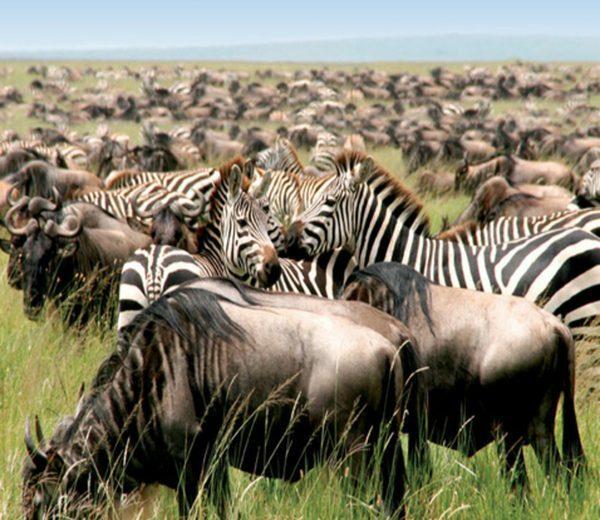 Contact us now for the ultimate Great Migration safari.